Happy April Fool's Day, everyone! 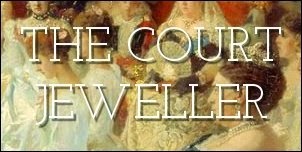 No tricks to be found here at The Court Jeweller today -- except of the jewel variety. Here's a selection of some of the clever fakes that the Windsor women have worn through the years. Which of these pieces of fashion jewelry would you happily wear, even though they're not set with genuine stones? Queen Alexandra was reportedly notorious for tucking paste pieces and fake pearls amid her real jewels; one story says that when a strand of her faux pearls broke, she ordered that each "pearl" must be retrieved, even though they weren't genuine!